It’s no wonder they call it “Delightful Dunedin.” Just go on one of the Tampa Bay Food Tours of Downtown Dunedin, and you’ll agree. Located along the Gulf Coast, just west of Tampa, Dunedin is known for its annual Scottish celebrations and its quaint downtown Main Street. Voted as one of America’s most walkable cities, Dunedin has a picturesque waterfront, relaxed coastal feel and activities for all ages. Your tour will include a history of Dunedin, this charming waterfront community overlooking the spectacular Caladesi and Honeymoon Islands. Several of the Delightful Dunedin restaurants and breweries you will visit have patios are located right on the Pinellas Trail. Each of our stops has its own story to tell and the chefs and brewers are excited to showcase their cuisine and crafted beers. The food included is more than enough for lunch and then some. The Dunedin walking tour lasts about three hours, and all restaurants and breweries are within walking distance of each other. Participants are encouraged to dress comfortably and wear walking shoes. The groups are intentionally kept small with a maximum of 12 guests. Tour guides are all knowledgeable about the local culture and have a real appreciation for the food and drink you experience. Dunedin features some of the best dining and craft breweries in Tampa bay! All of this with a touch of Southern charm. The Dunedin tour starts at Sea Sea Riders, where the group gets acquainted with each other while they enjoy jumbo shrimp along with Purple Haze and Blood Orange Margaritas. Next, you’ll walk over to Lucky Lobster for Lobster and shrimp pizza. Then it’s a visit to Cueni Brewery, where you’ll enjoy sampling some of their house-made craft beer with Fried Grouper with Fries take-out from Carver’s Fish House. You’ve never really enjoyed grouper until you’ve had some that is fresh from the Gulf. 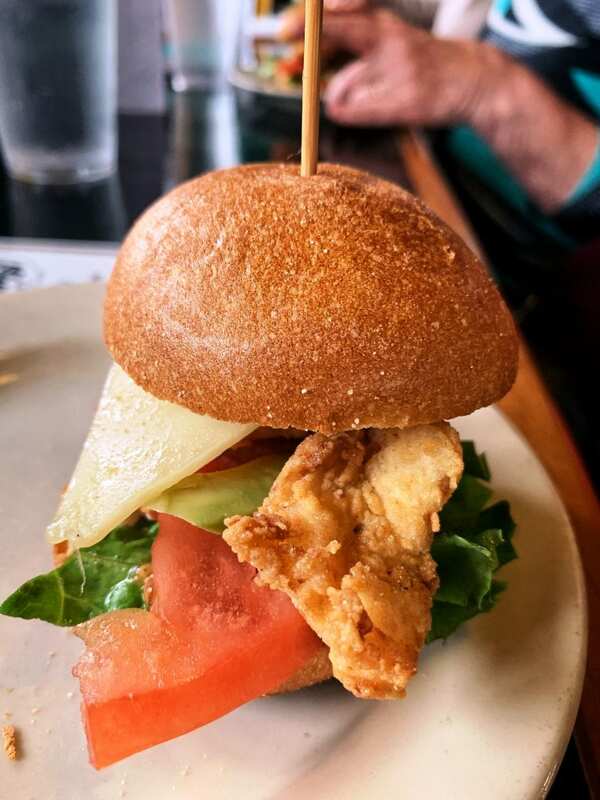 Beer lovers will enjoy the next stop at Cotherman’s Distillery, and then on to Hog Island Fish Camp for a delicious Hog Fish slider. Final stop of the day is at Dunedin’s famous Bon Appetit restaurant, located right on the Gulf with an amazing waterfront view of St. Joseph’s Sound. There, you’ll enjoy scrumptious dessert and coffee to cap off a fun-filled walking tour of Delightful Dunedin. The tour company also offers custom tours for private parties and a second Dunedin Craft Beer and Bites Tour. For more information, go to www.tampabayfoodtours.com or call 1-813-310-4401. For more on the History of Dunedin check out their museum.